Make a bold statement with this adjustable leather cuff bracelet. 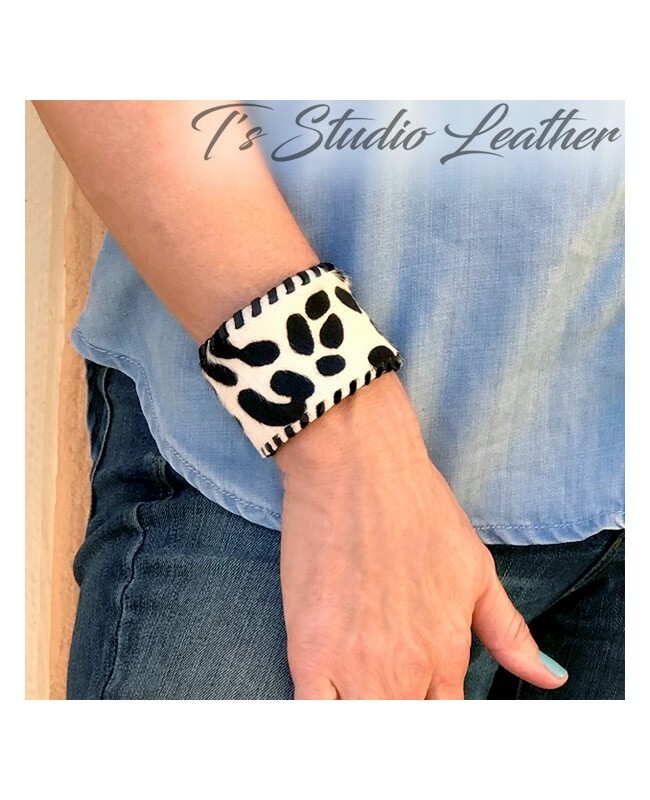 It is handmade with high quality, genuine cowhide hair-on leather, shown in black and white spots print. Available in a variety of colors.